The entire Fiji Vacations team is so deeply saddened to see the destruction that Tropical Cyclone Winston brought to Fiji on February 20. Winston was the strongest tropical cyclone to ever recorded to make landfall in the Southern Hemisphere and brought widespread devastation to numerous Fiji islands. While a number of locals were evacuated to shelters, lives and homes were lost and farms were destroyed. Flooding continues to cause additional hardship. Our thoughts are prayers are with all of our Fijian friends during this time. 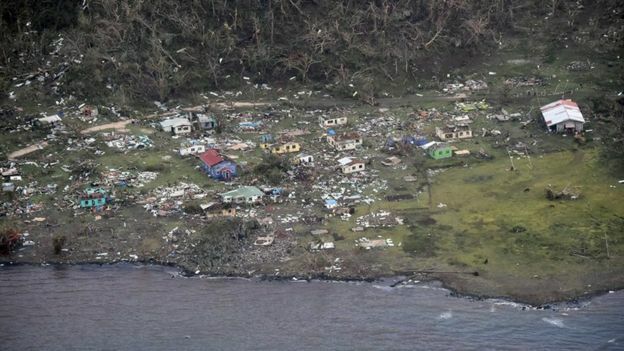 Visitors remaining in Fiji during TC Winston were all reported safe by the Fijian government. We have heard from several resorts in Fiji, and many indicate they escaped the cyclone without structural damage, but debris still requires clean up. Continue to check our blog for updates. One thing is certain: even while relief efforts are in progress, Fiji will continue to be a sought-after vacation destination for couples, families, adventure seekers and luxury travelers. Fijian spirit and resilience during a time like this continues to amaze us. And perhaps the most inspiring aspect of Fiji for travelers is meeting the Fijian people—some of the kindest and strongest people in the world.